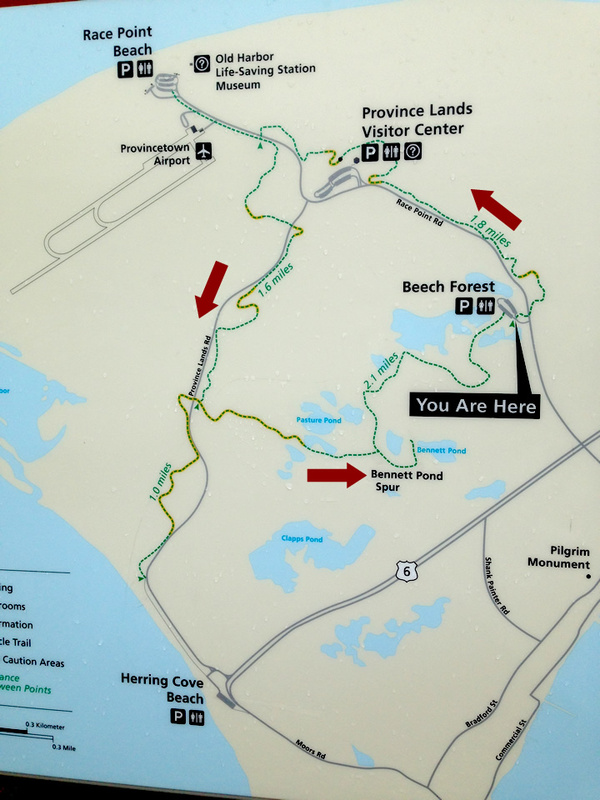 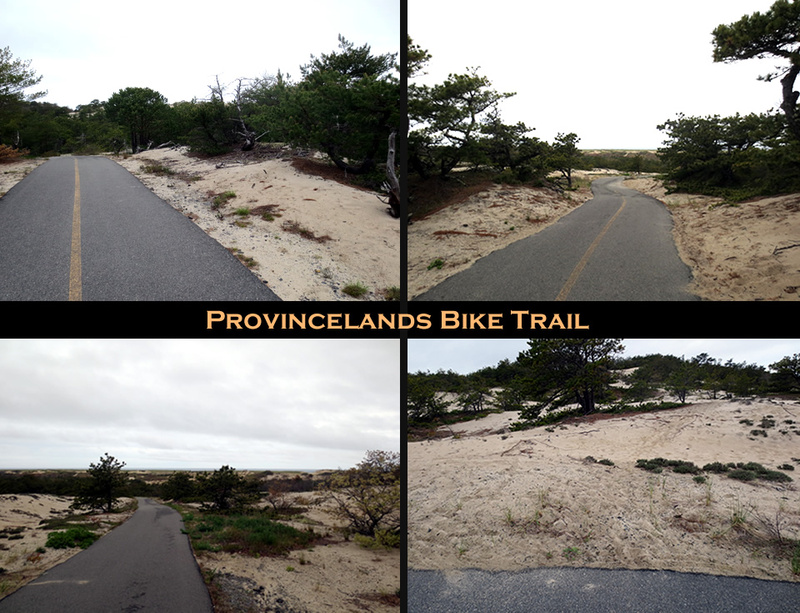 My last ride of the weekend was a quickie up at the Province Lands Dunes. 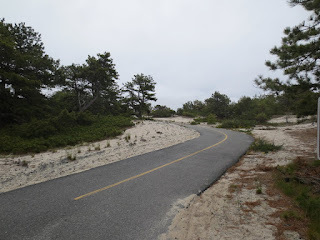 I drove up to Provincetown from the Barnstable area and the drive was cloudy and rainy- ouch :-( Fortunately the rain stopped when I got to the park but it was still overcast and kind of chilly! 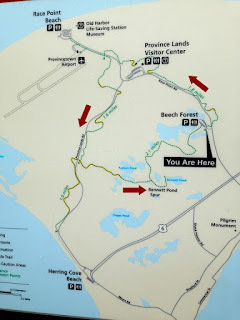 I parked at Beech Forest and did the loop counter clockwise. I began from the Dennis trail head at 10 am. 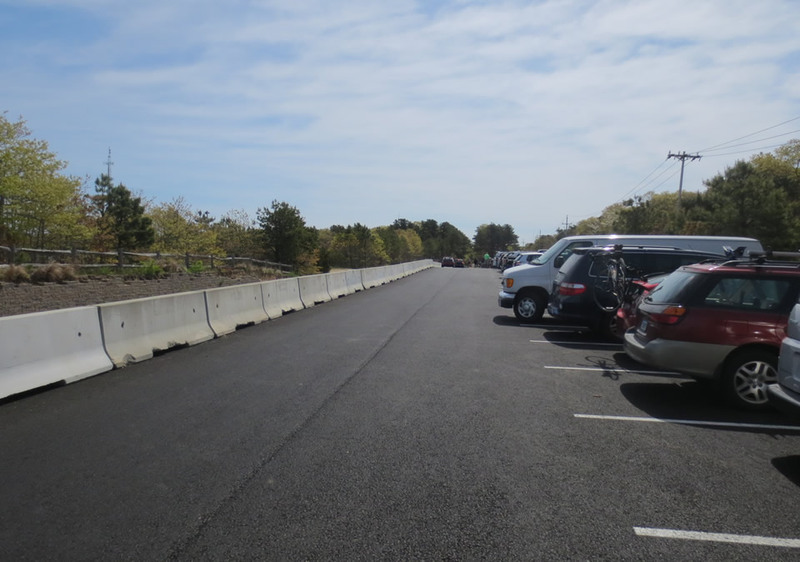 It was a sunny day and the parking lot was already packed! The whole trip was a little over 22 miles (44 plus miles round trip) and quite uneventful. 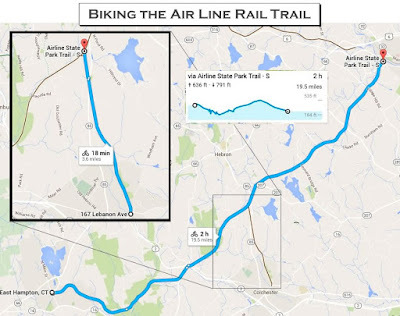 The trail was paved the entire way and riding was smooth - so smooth my FitBit gave me less than half the steps I garnered for the Airline Trail I rode yesterday - bummer! 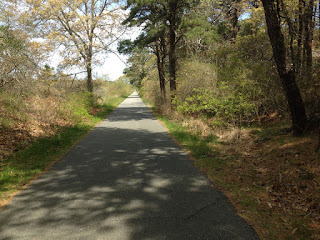 The few hills were long and gradual and never were tiring. Truth be told - it was pretty boring but the few railroad history and nature signage along the way were nicely done and made the trip a little more interesting. 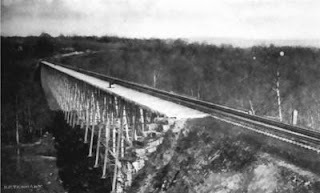 There were a few places where you had to deviate from the original ROW to cross major highways, etc. 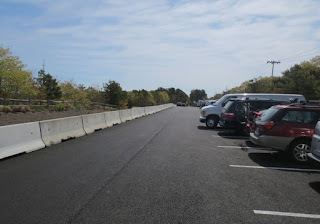 but for the most part it was straight and super smooth the entire way. 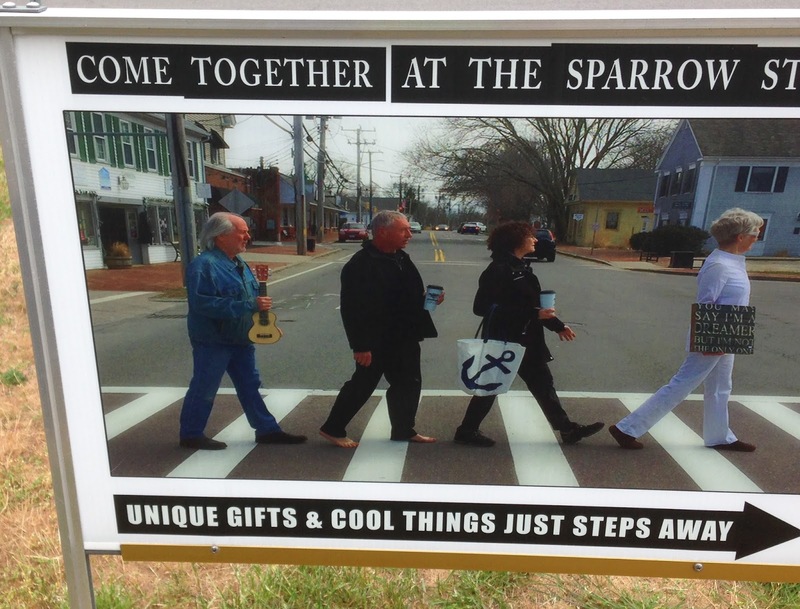 This advertisement in front of the shop is priceless - Abbey Road anyone? 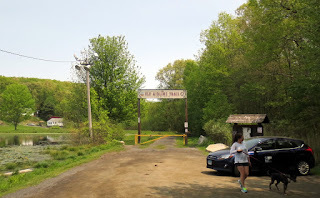 When I finally reached the trail's end, I was hungry and dismayed to find only an expensive French Bistro ($5.50 for a hot dog! 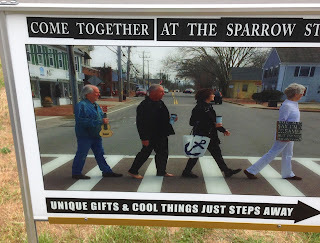 You gotta be kidding me!). 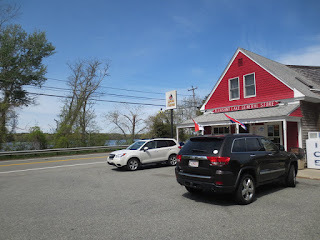 Luckily, I rode back south a bit and found a great spot: a pizza bar and grill a little off the trail and chowed down a chicken cutlet sub, cole slaw and sloshed it down with a Whale's Tale Ale - ooo yeah! 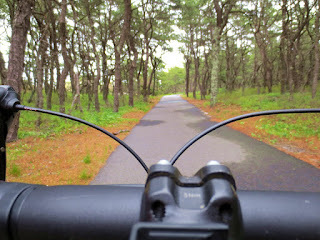 It became windy and overcast and I was sure it would rain but I made it all the way back without even a sprinkle! 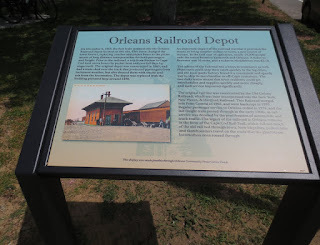 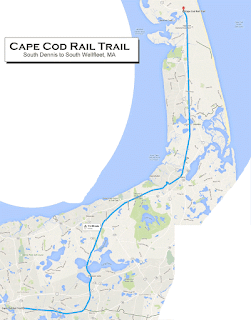 The Old Colony Railroad system stretched across southeastern Massachusetts and parts of Rhode Island. 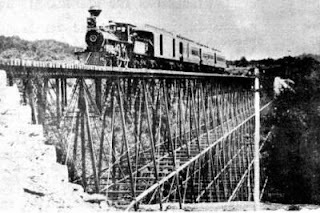 It operated from 1845 to 1893. 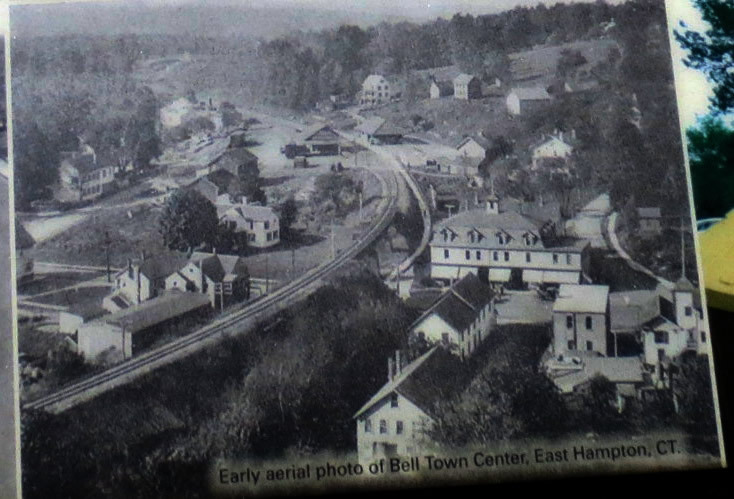 In 1893, the entire 617-mile network was acquired by the New York, New Haven and Hartford Railroad. After this date, all trains, lines, and stations became known as the "Old Colony Division" of the huge New Haven system. 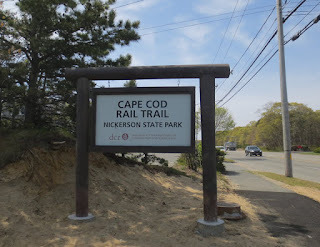 Regular passenger service to Provincetown ended in 1938 and in 1959 all passenger service operated by the company on Cape Cod ceased. Freight transport hung on until the mid-1960s. 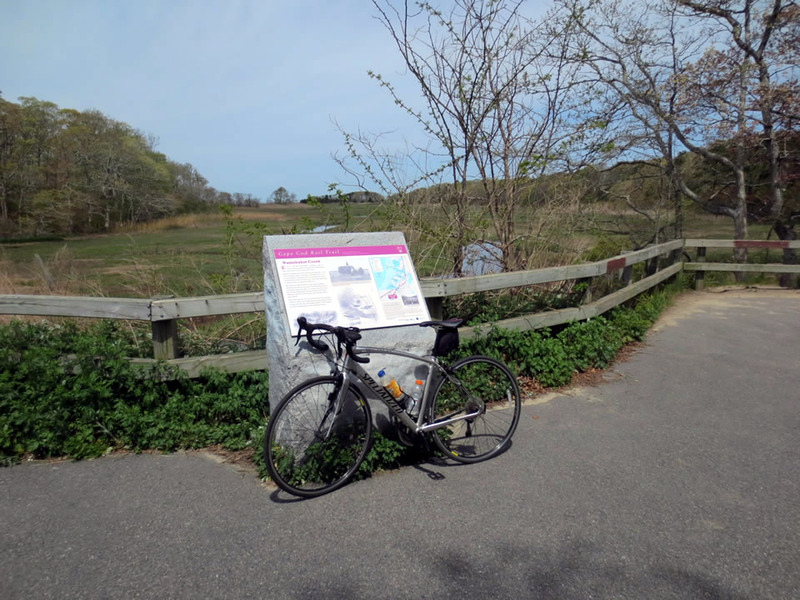 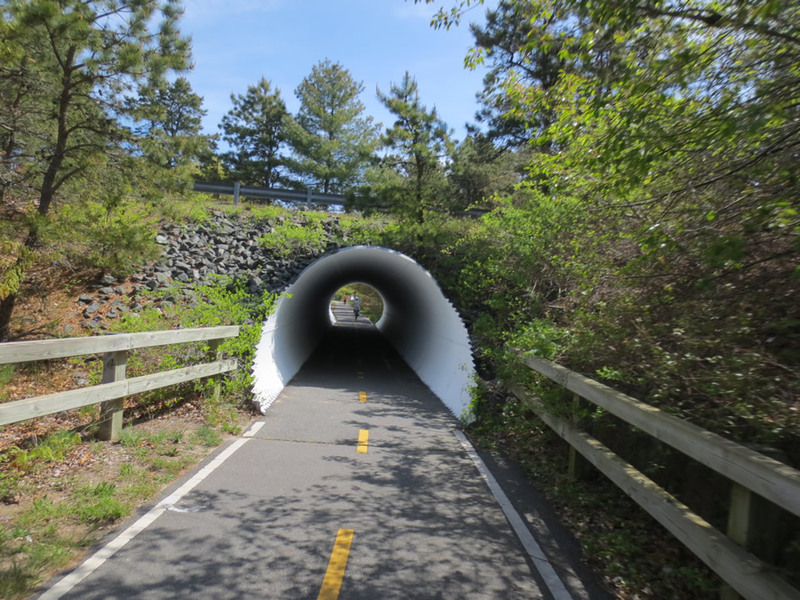 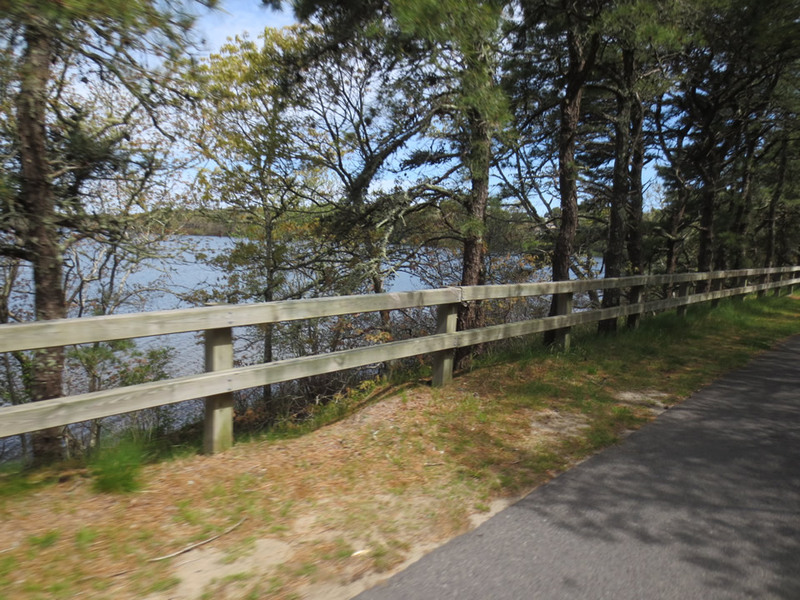 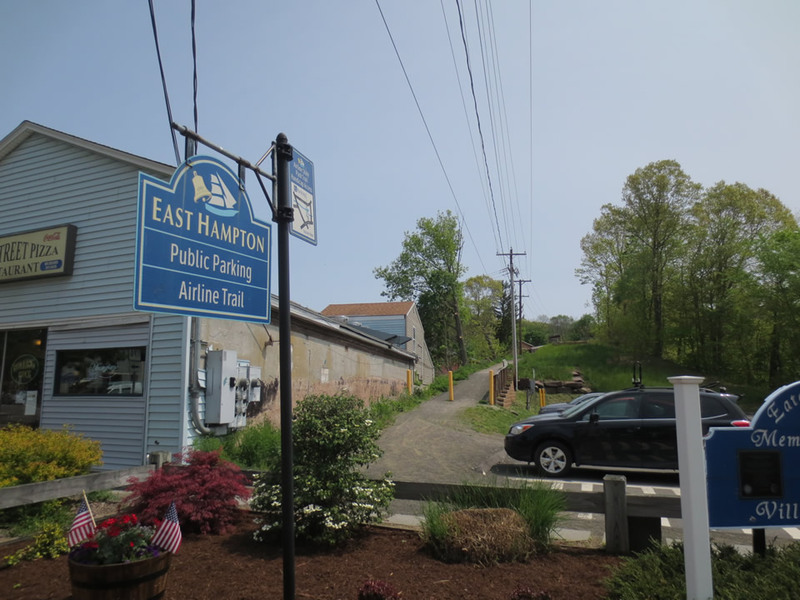 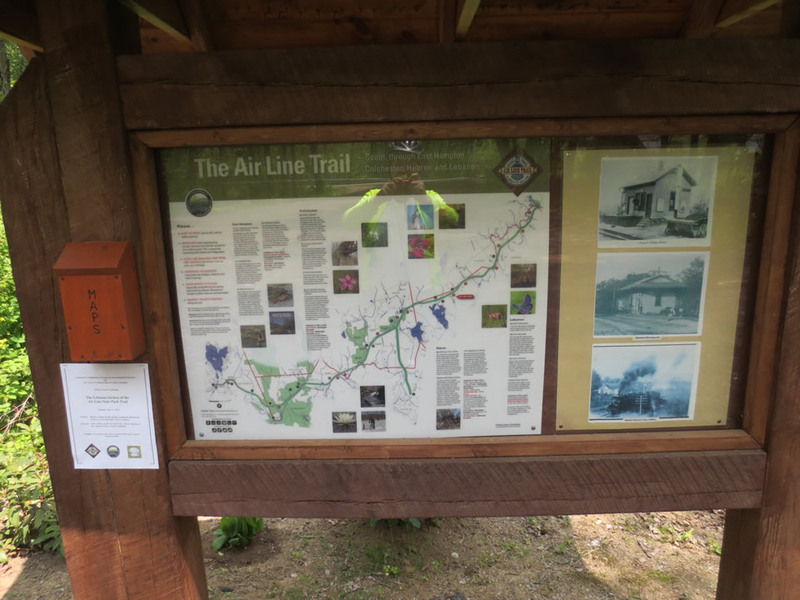 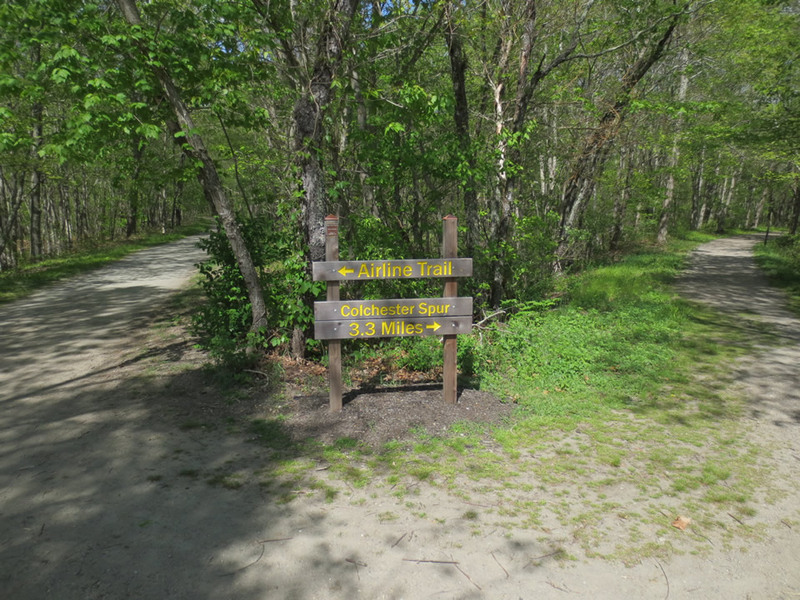 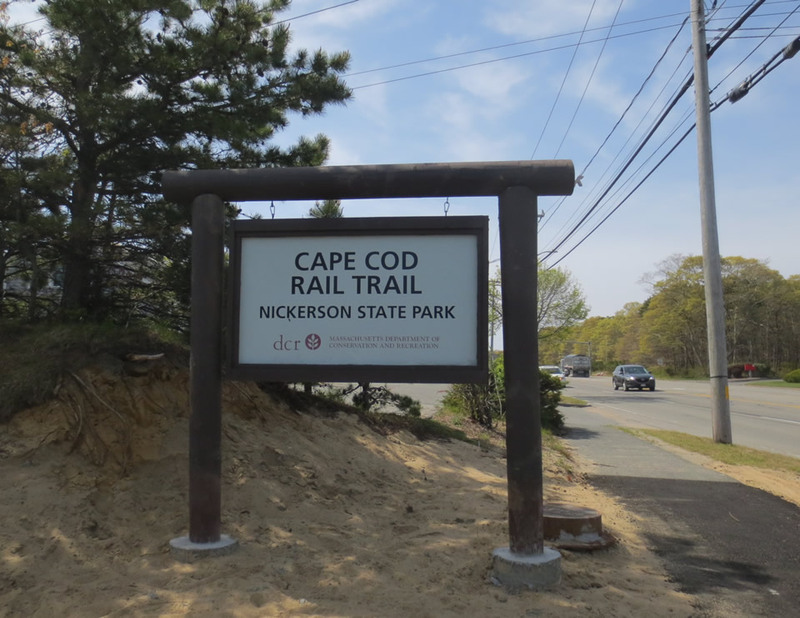 I started in East Hampton - a quaint little New England town and I first grabbed a sandwich at the restaurant right at the trail head (it was delicious!). 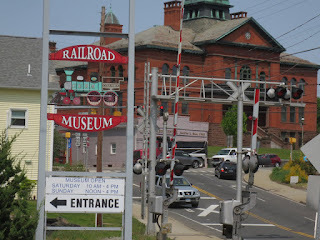 Below are enlargements from the lovely signage above - showing the railroad's presence in the town. 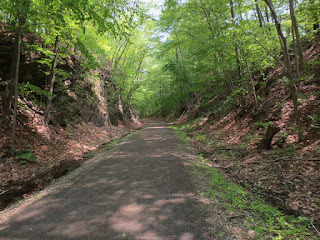 I started riding at exactly 12 noon and after a short bit, I rode thru a seemingly endless rock cut that was 10 to 15 degrees cooler. 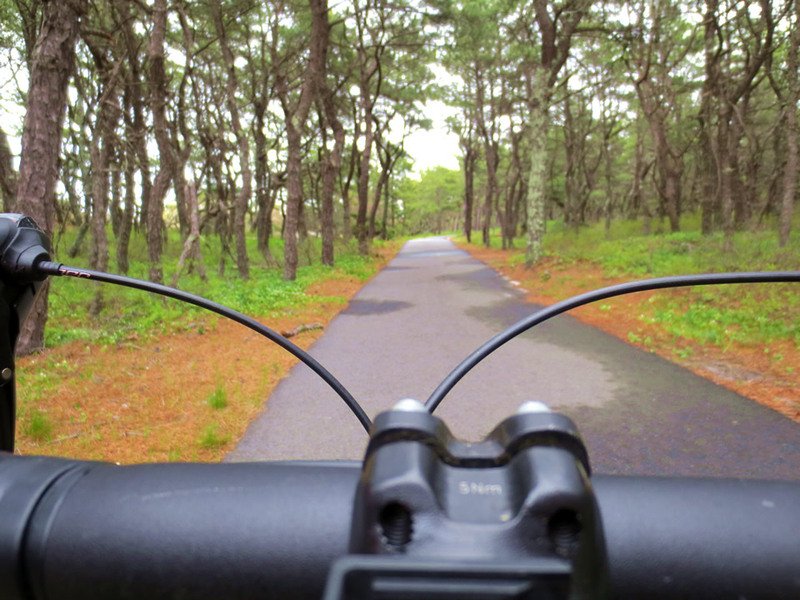 I was cold and thought I dressed wrong for the ride... but once thru the cut, it was warmer again. 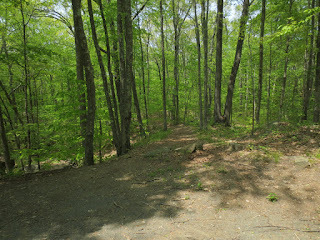 A bit further up is apparently a more "official"starting point. 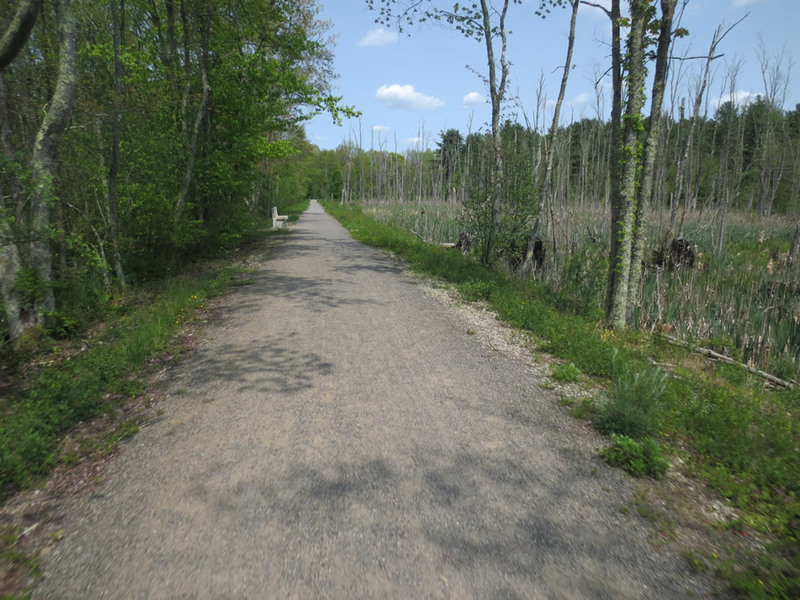 There's a cranberry bog on the left. 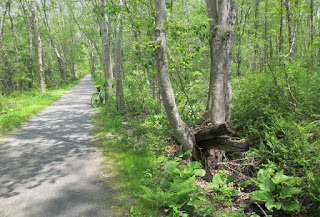 The trail was really wide - loose gravel and dirt the whole way - a bit bouncy at times but never worrisome enough to pop a tire on a road bike. 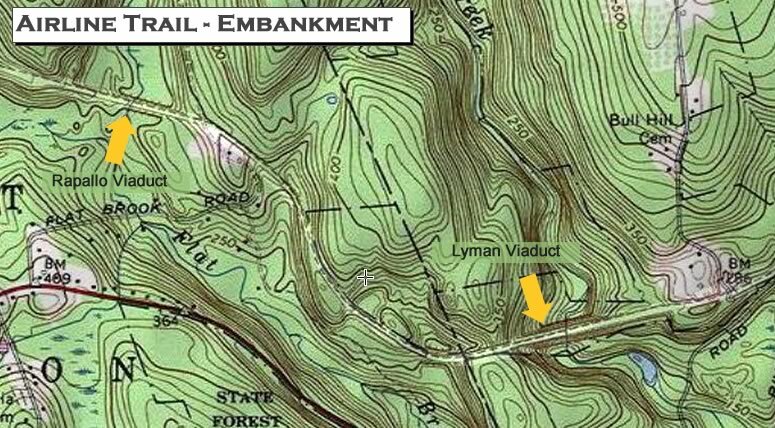 The elevation chart shows about 400 feet change (about 1400 ft of total up and downs!) 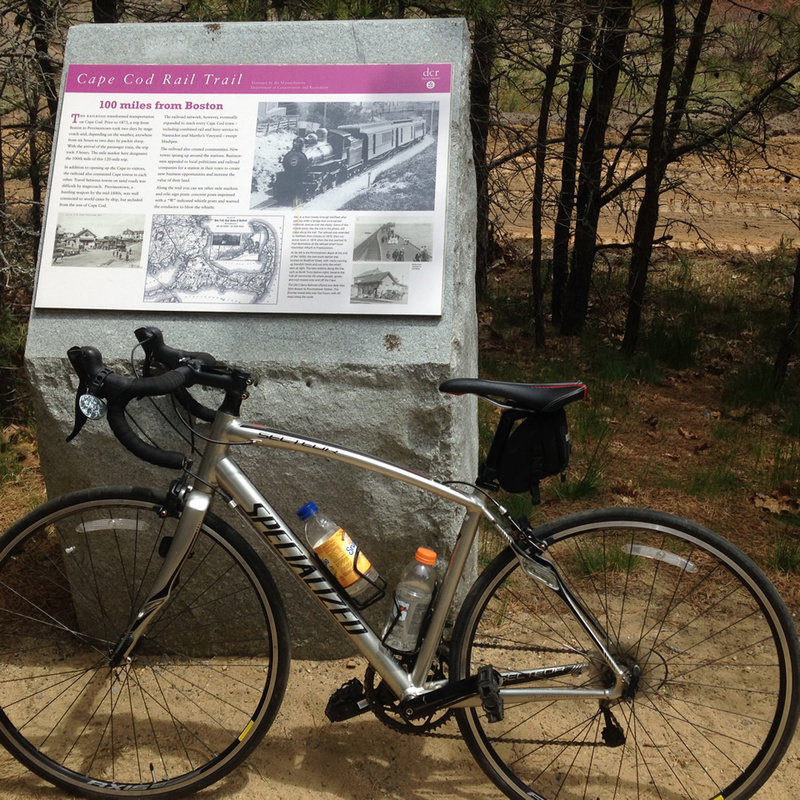 but it was a rail trail so the climbs were long gradual slogs - it was tiring but exhilirating at the same time! 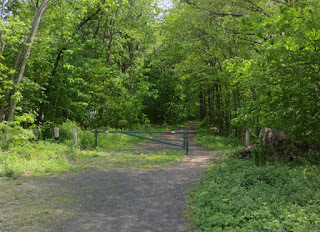 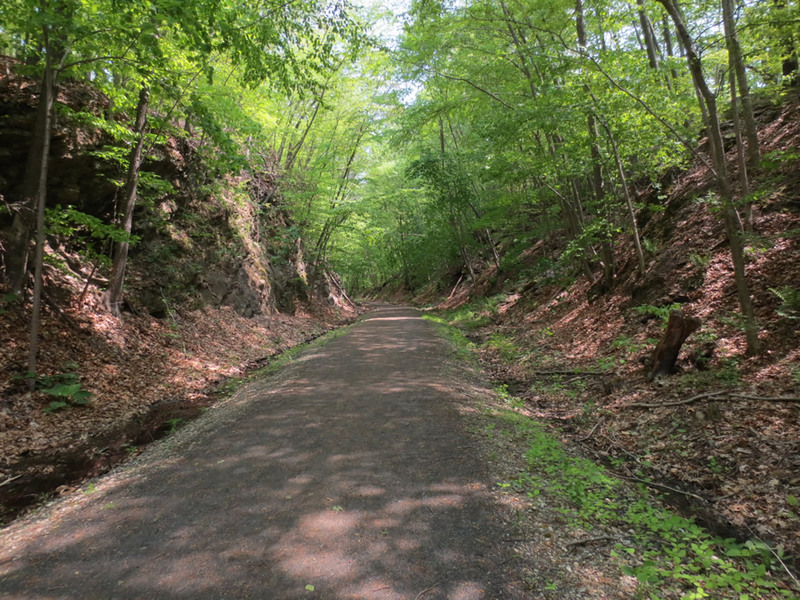 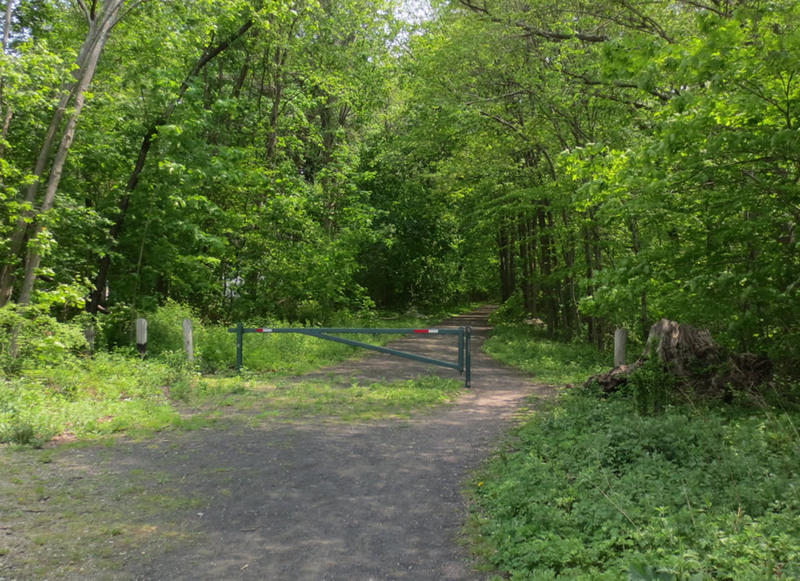 Although this was a rail trail and somewhat monotonous compared to mountain biking, there are a variety of scenic changes to make it interesting. 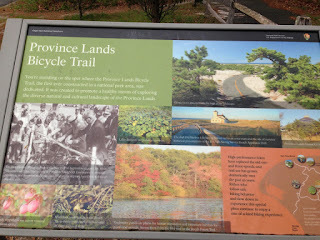 You ride by ponds, cranberry bogs, fields, marshes, etc. At one point I almost ran over a snake! 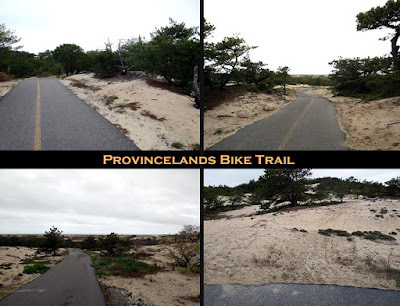 - great for exploring on a mountain bike! 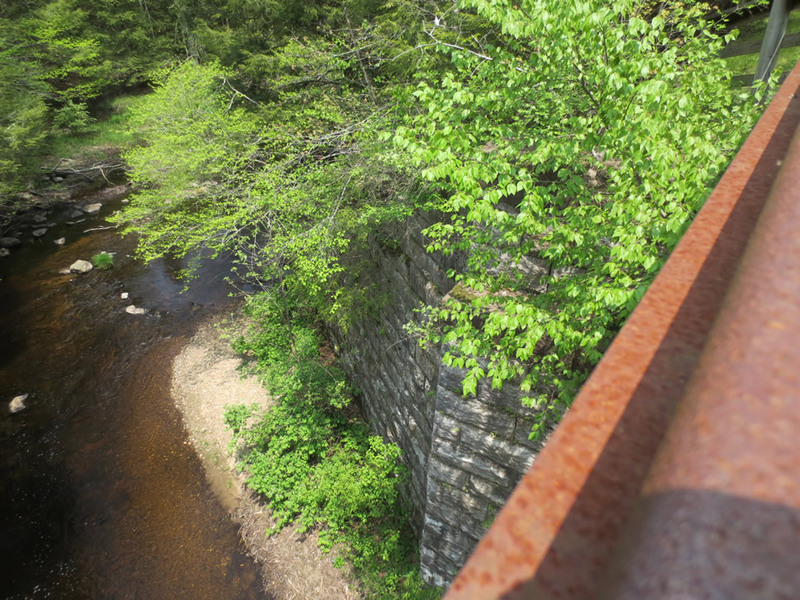 The now filled-in viaducts were pretty impressive but probably more so in the winter or early spring when there isn't any foliage. 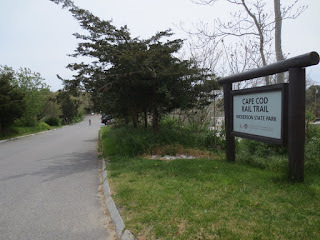 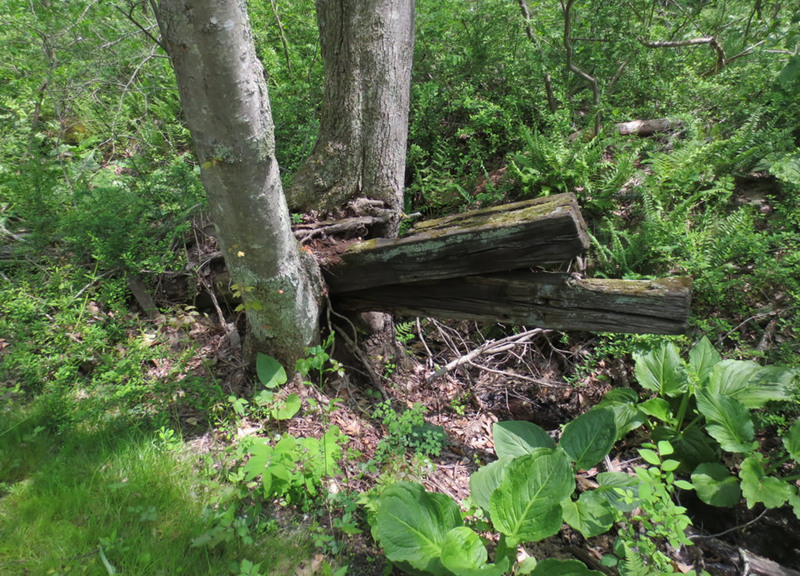 Once past the Colchester spur connection you begin to see a lot more railroad ties scattered off to the side. IMHO its gets even prettier along this section. For a short stretch you even get to ride by a farm and see cows grazing - a welcome change from the usual green canopy of the deep woods. 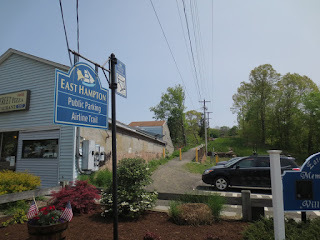 I had planned to stop in Willimantic for a snack but decided to turn around and head back instead. 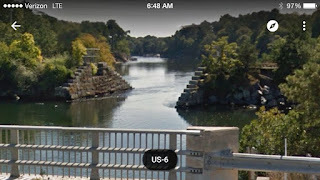 The ride back to the new bridge was interesting as the river is on your left and an old railroad yard and the railroad museum in on your right. 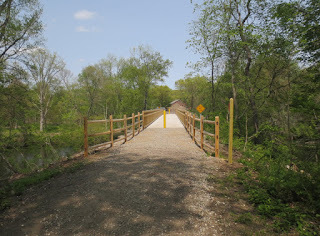 Right at the bridge there is a connection to the Hop River Rail Trail as well so you could ride for days!! 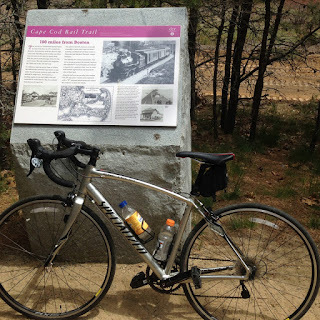 Once I reached the Colchester Connection, I headed south on the spur. 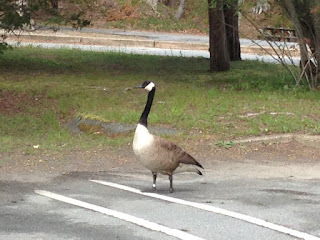 What a bore! Don't waste your tine on this section - the only thing that kept me going was the chance to see the Colchester station(s). 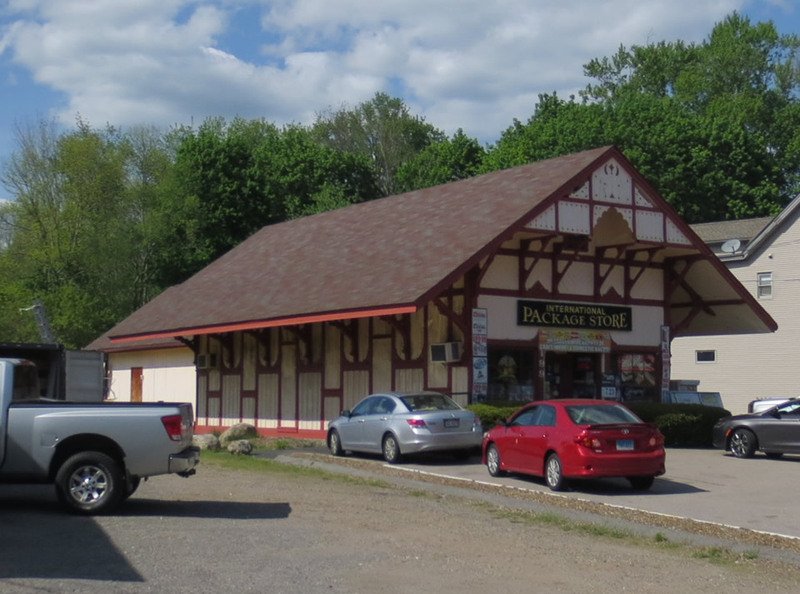 When I arrived at Colchester, the railroad stations didn't disappoint! 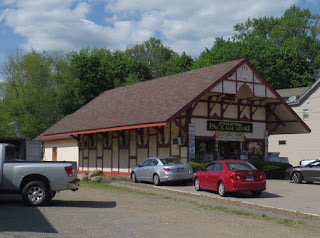 They were kept up nicely - the old freight station was a bike shop and the passenger station was a package store. 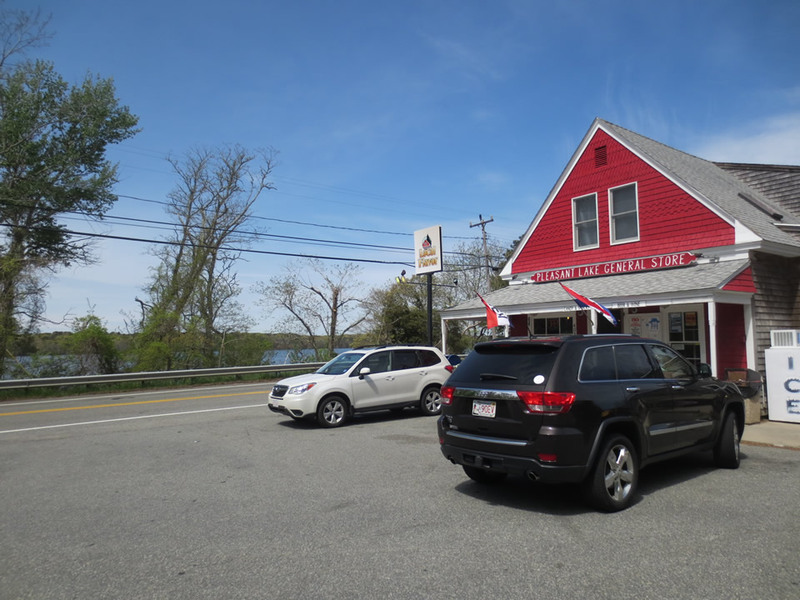 Although I had a craving for a nice ice cream, I had to make do with a tall Yuengling instead! 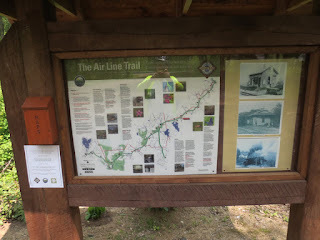 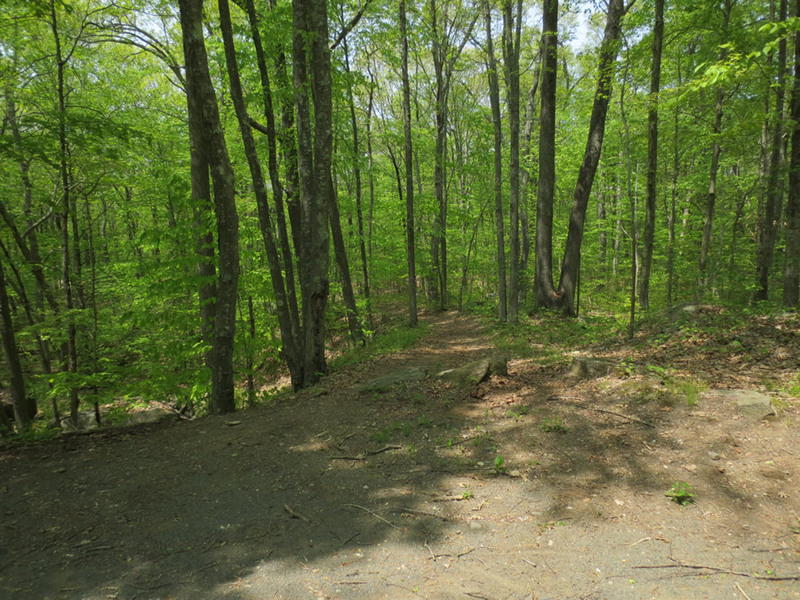 I headed back up the Colchester Spur (yawn) and was happy to reconnect with the main trail - anxious at this point to finish up this trek. The ride back seemed to take an eternity as I was getting a little tired but the scenery was pleasant and the mileage good for me. 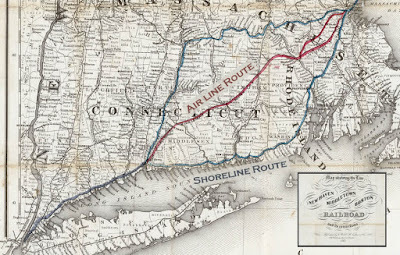 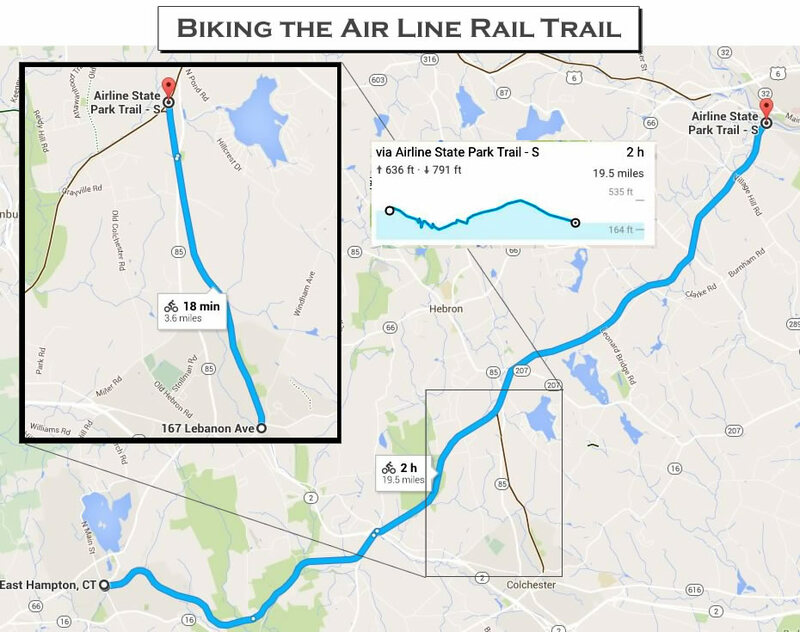 "The Air Line" was envisioned as a direct route between New York City and Boston. Built to bypass the Shoreline Route east of New Haven Railroad, the Air Line at its completion connected to the New York, New Haven, and Hartford railroad at the Cedar Hill Yard in New Haven, CT, where it then continued on to Boston. 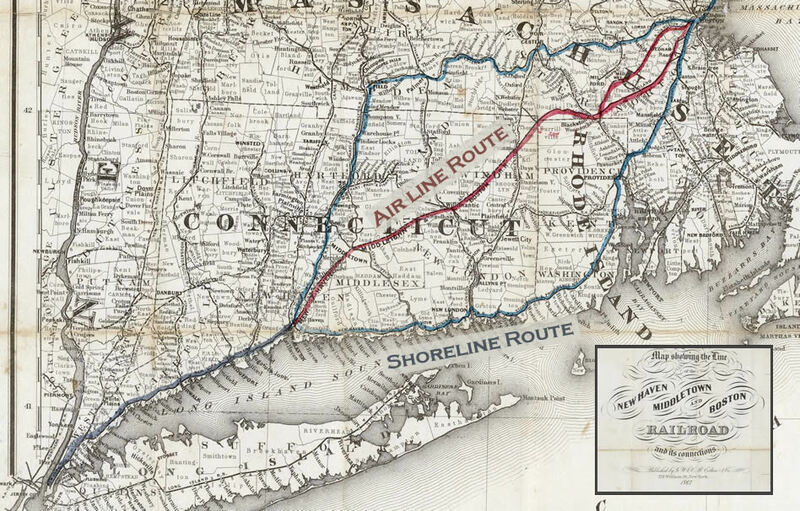 "shortest distance between New York and Boston"
The Air Line route opened in 1873 and was 25 miles shorter than the Shore Line. In 1875, it was reorganized into the Boston and New York Air-Line Railroad, and later, the New York and New England Railroad (NY&NE). 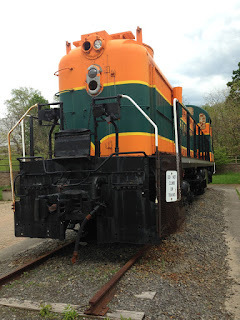 One of the most memorable and most famous trains of the Air Line was the "Ghost Train." Created to attract wealthy travelers, the luxurious Pullman cars were painted white with gold trim, and the staff of the train wore white uniforms. 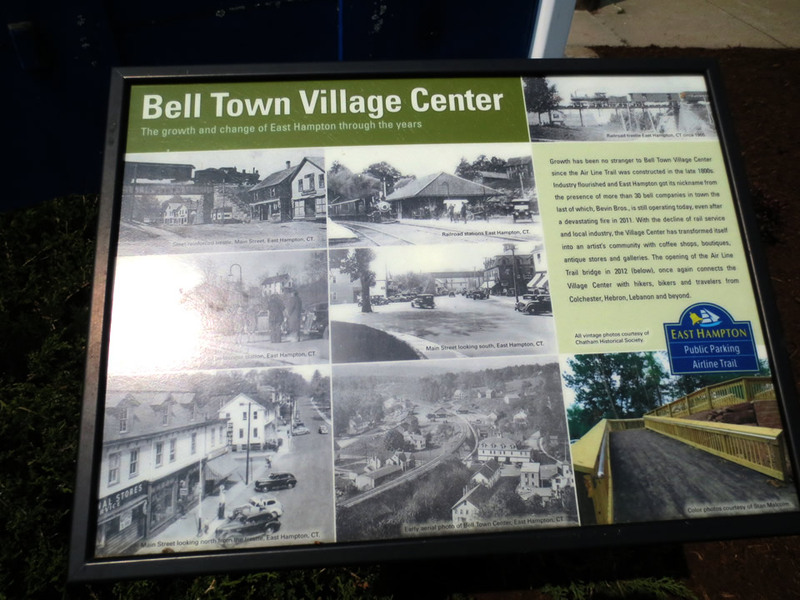 The service started in 1891, but was short lived and ended in 1895. After being bought by the New Haven in 1898, the NH upgraded the line by raising bridges and filling in the massive Lyman and Rapallo viaducts to handle heavier trains. 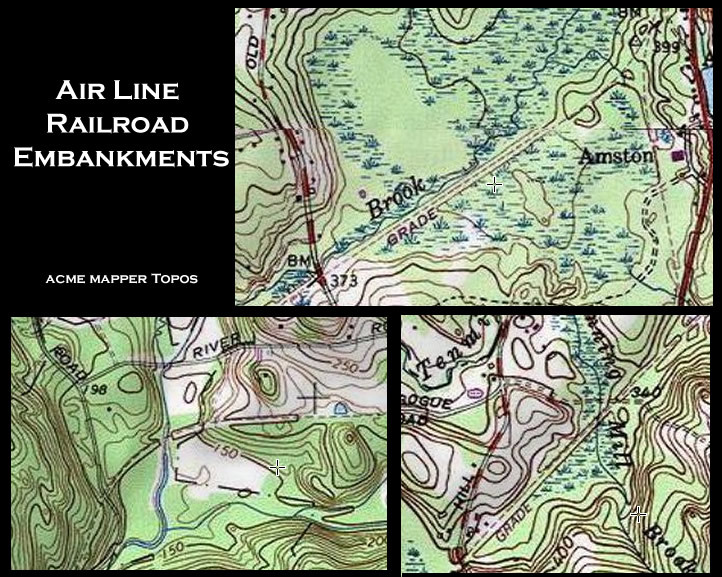 Its amazing when you pan through an acme mapper topo and see just how many embankments were created. 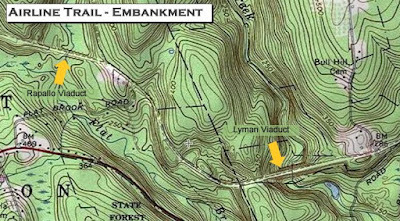 The most dramatic embankments are of course where the original Rampallo and Lyman viaducts were. 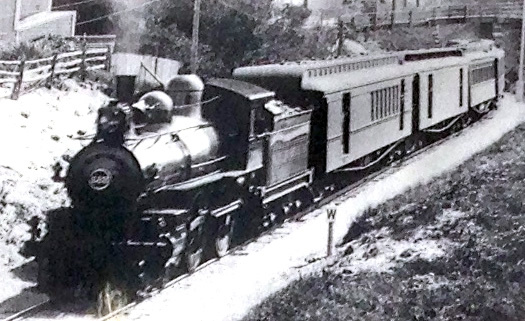 New York-Boston through trains ended in 1924, and by 1937 most trains used the Shoreline, with the Air Line being used mainly for a few oversized and heavy freight trains. 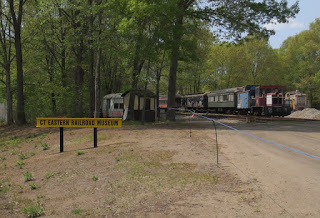 Sadly by 1964, the Portland to Willimantic segment was abandoned. 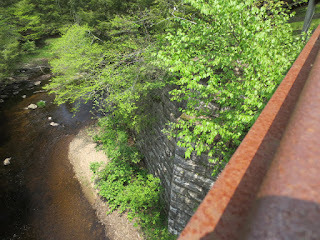 Be sure to visit this excellent site: abandonedrails.com to read more history details. 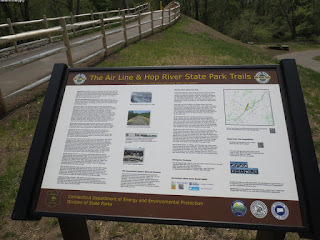 The above texts were sourced and condensed from this site. 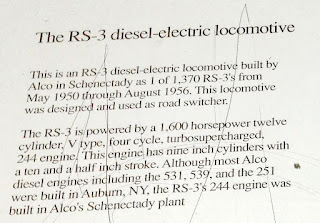 I spent an overnight in Schenectady and I was pleased to find an ALCO RS-3 diesel locomotive on display right on Nott Terrace. 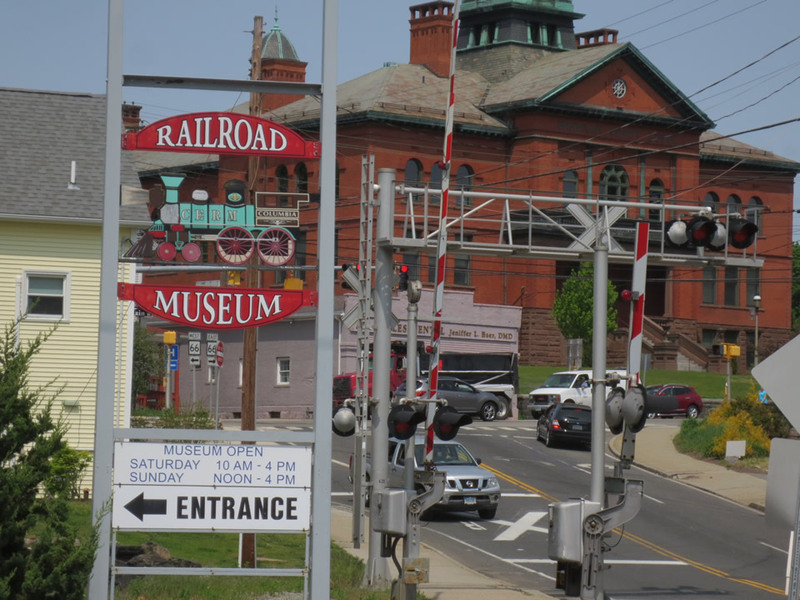 IMHO it's the least Schenectady could do to honor this past industrial giant that once had a factory complex here. 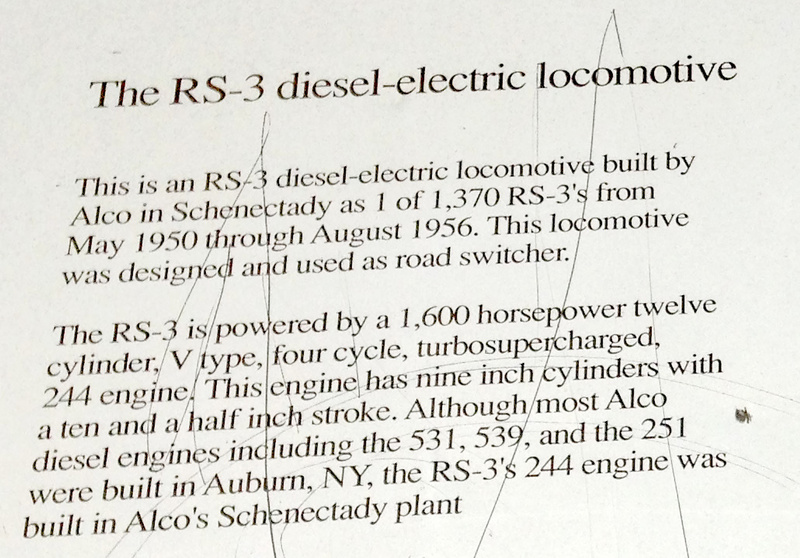 The famous phrase “The City that Lights and Hauls the World” was referring to GE and ALCO respectively. 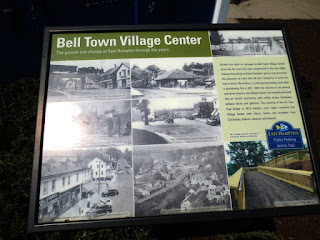 The sign was helpful in explaining the "local heritage."